Fall will officially be here in less than two weeks! I’ve been cozying up my rooms with warm colors for the autumn season. 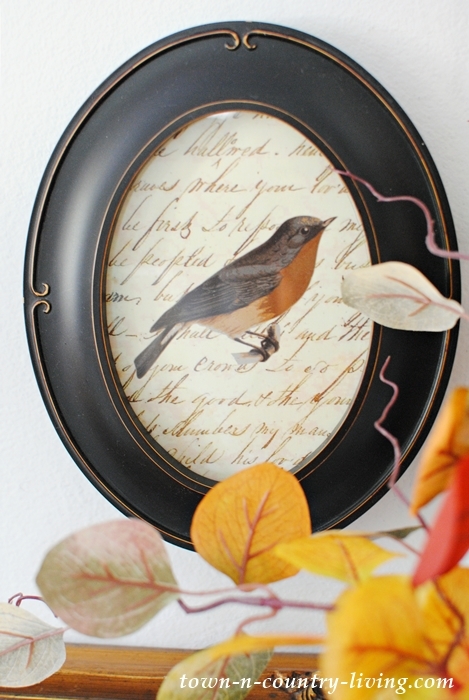 I saw beautiful bird prints in round black frames that I loved, but didn’t purchase them due to their price. Instead, I decided to make my own. 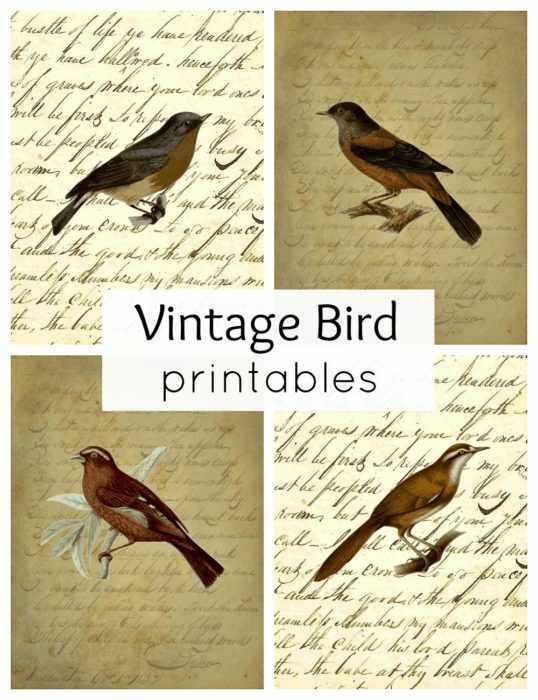 And what’s more … I have the vintage bird printables here on my blog that you can download to make your own! 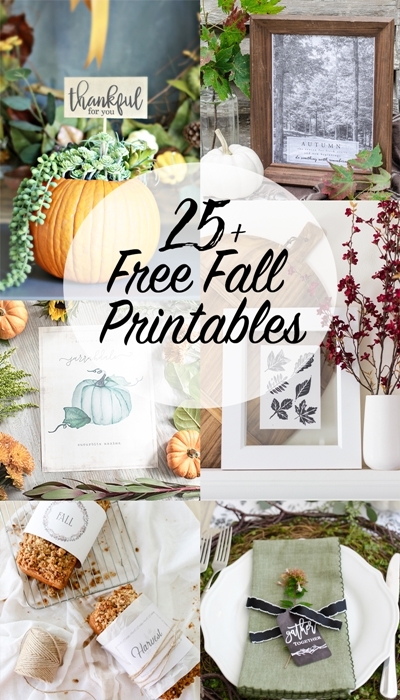 Today I’m joining several bloggers to bring you a variety of free printables! You’ll find the links to all of their projects at the end of this post. 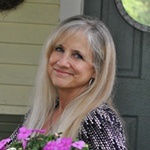 A special thanks to Kristen at Ella Claire for organizing this creative adventure. 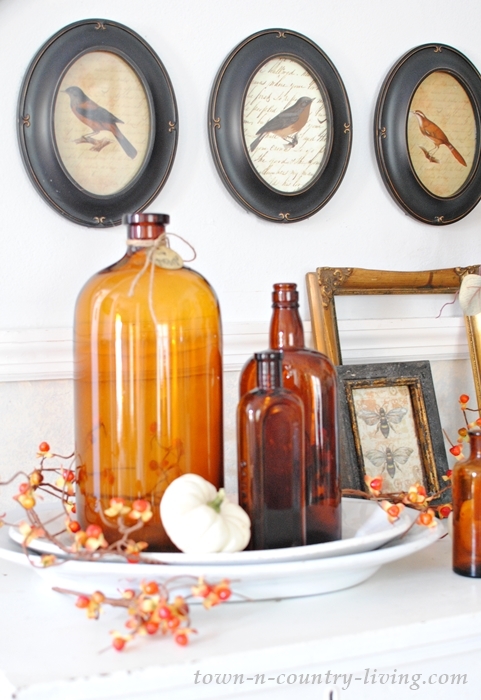 I paired my vintage bird printables with amber brown bottles from my collection – you saw part of that collection on my fall mantel last week. I loved that I saved money with this project and this artwork was so easy to make! 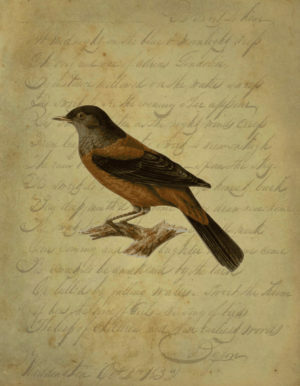 Brown birds are layered over a vintage script background to give them an aged appearance. The links to the free printables are at the end of this post. You’ll first want to find your frames. I opted for oval black frames instead of round ones. I liked these because they have a soft raised swirl with a touch of gold. I found my frames at Hobby Lobby for under $10 each – they’re not plastic, either. 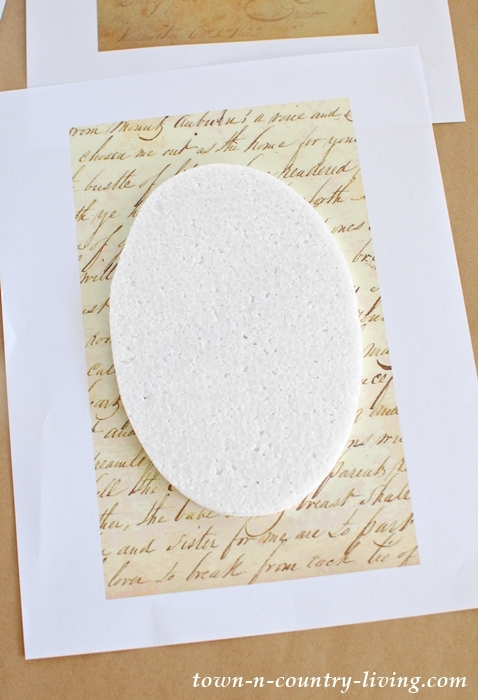 Most picture frames have a piece of cardboard or foam inside to hold the glass in place. 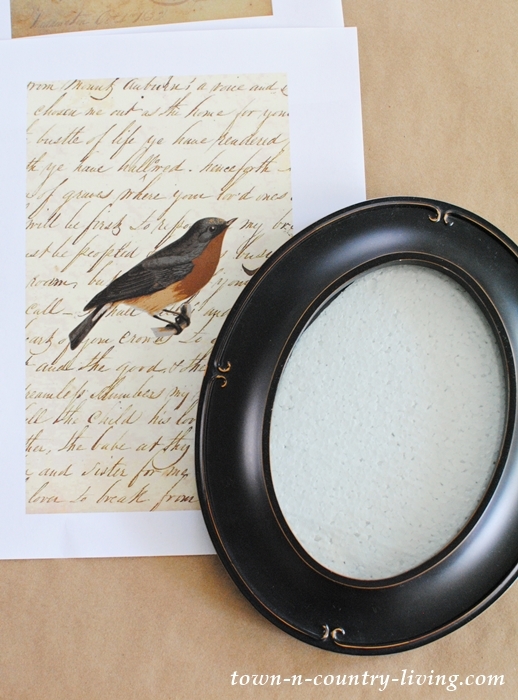 Use the oval insert to trace the shape and size of the frame on the vintage bird printables. 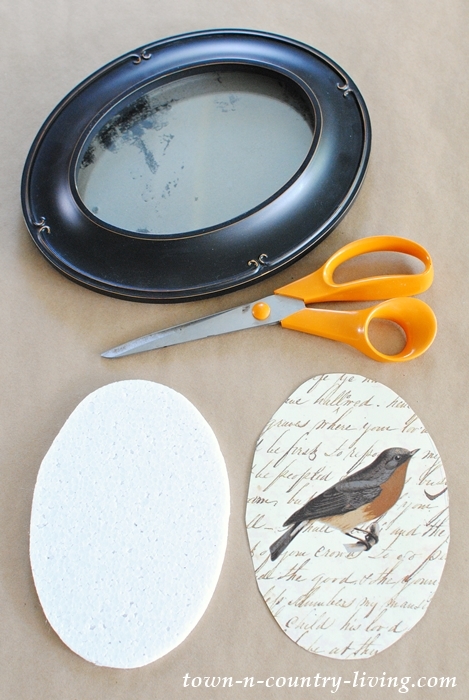 Cut out the bird printable and assemble the frame. 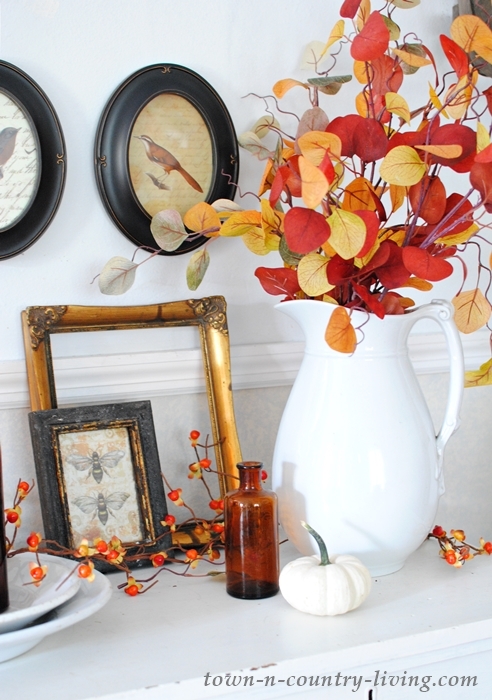 Next comes the fun part of hanging the vintage bird printables on the wall and adding decor to create a fall vignette. Vining bittersweet beneath the prints echoes the warm colors of leafy branches tucked in a favorite ironstone pitcher. 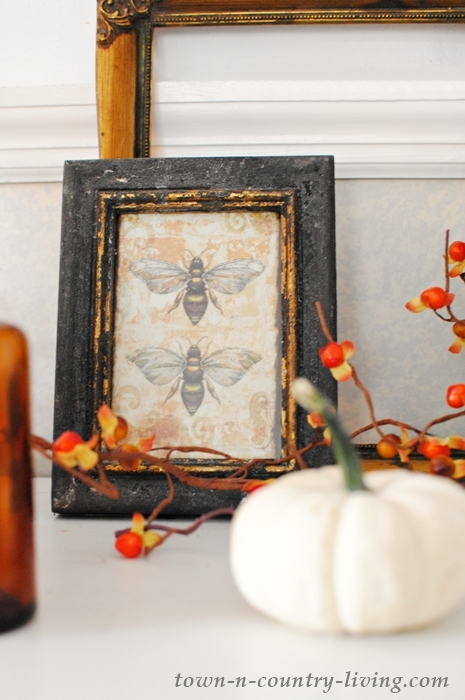 I pulled my vintage bumblebee print in its rustic black frame out of storage and layered it over an old gold frame that I’ve had for many years. 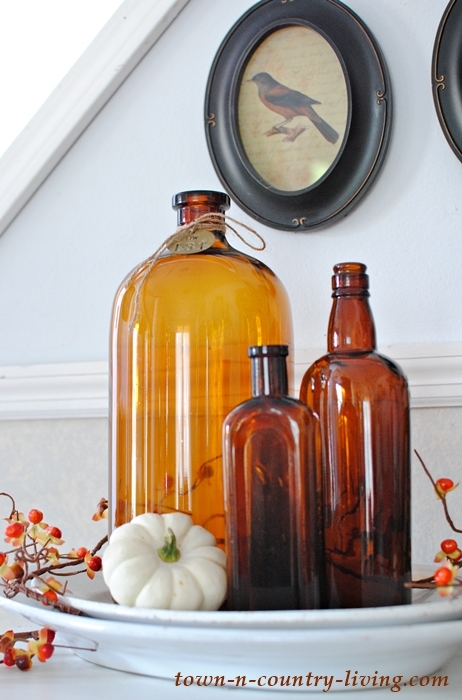 And of course, beautiful amber bottles that glow when the sunlight hits them. 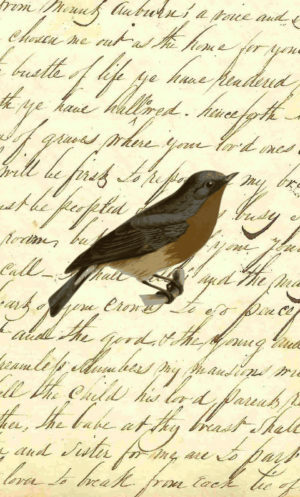 I hope you enjoy my vintage bird printables! 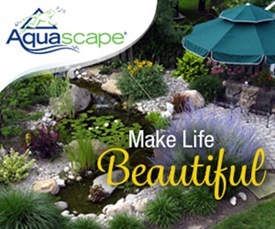 It’s an easy project (and economical too) for adding the warmth of the autumn season to your home. Click on each image to download to your computer. 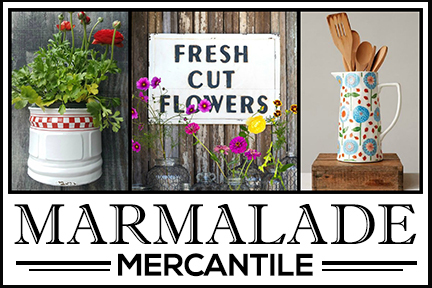 Be sure to visit some of the other bloggers with their free printables … all for you! I love the bird prints with the other items on your mantle. 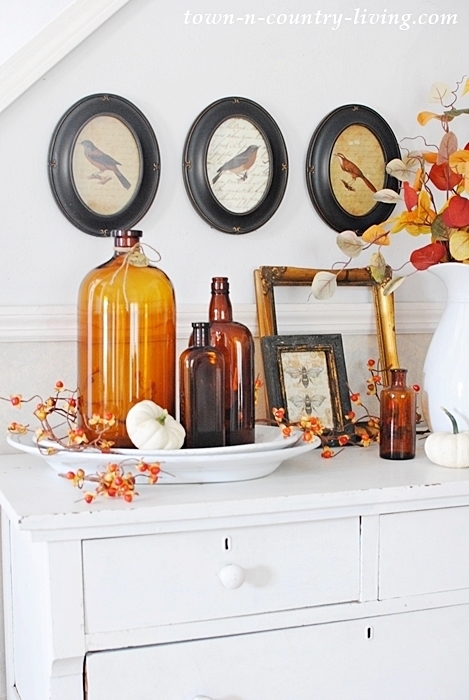 It speaks to “fall” but also gives such a warm and cozy feel to the room. Your mantel is beautiful and I LOVE these printables. Thanks so much for sharing them! I love how you made your own artwork. It is a lovely vignette and is so warm and welcoming. These are so pretty, Jennifer. 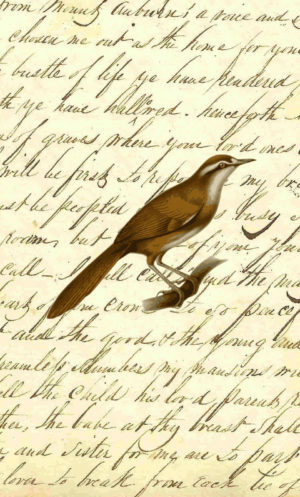 I love birds and the script background is perfect. Thanks for sharing them! These are so pretty! Love how you styled them! 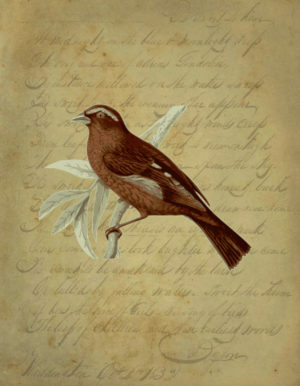 Think will be going to buy those frames at Walmart,love oval shape with the vintage bird images, so wonderful.Thank you so much for these images Jennifer. 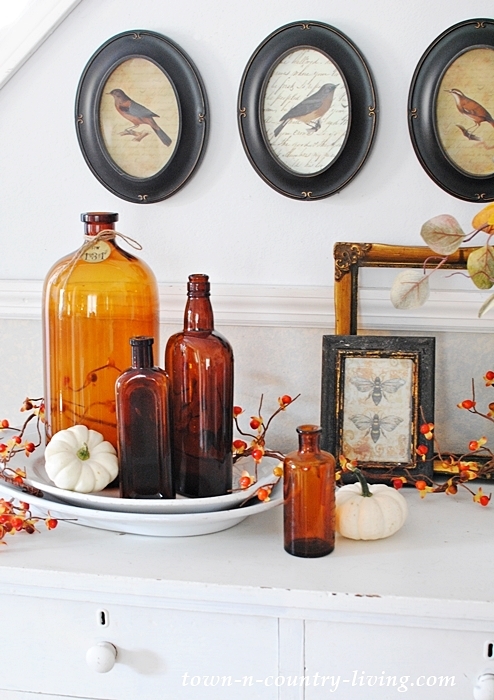 Will be perfect for Fall decorating. I love anything wildlife, such a pretty display, i love the printables for my foyer! Thanks for the inspiration. 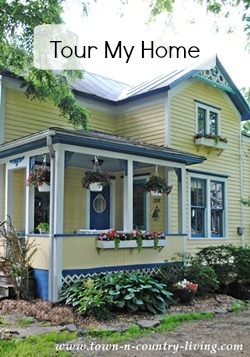 Your home is lovely for Fall. The bird printables are just darling. I love to decorate with birds in my home all year long. So these are perfect for me. Thanks Jennifer. This is such a beautiful post. And the printables are exquisite. That is a beautiful vignette! Love the brown bottles against the backdrop of bird pictures and the plant in the vase. The bumblebee picture is just right too. Such sweet bird printables Jen! I love the bird printables. And those frames are perfection! What a great idea! Thanks for the printables! Thanks so much for great bird printables. Will be looking for frames like yours at HL, hope they have them. When Christmas decorations come down will want something little different for walls in l/r. Things always look so dreary to me after holidays,all the pretty colors and lights are gone, hohum.